Before you get mad at us for covering bicycles, you should take note of the fact that electric powered two-wheelers are taking an ever-increasing piece of the motorcycle market here in the United States, and abroad. Consider these low powered “motorcycles” or put any other label on them you desire. Did you know that Yamaha “launched the world’s first electrically power assisted bicycle in 1993”, and has produced more than four million drive units, with some shared to different OEM bicycle manufacturers? Earlier today, we received the following press release from Yamaha regarding four electric bikes that will be available in the U.S. this summer. You can see the details below, but looking at the specs is interesting. Three of the four bikes deliver 70Nm of max torque, while the fourth (the off-road capable YDX-TORC) puts out an impressive 80Nm max torque. These power figures compare favorably with the popular Bosch e-bike motors, and the 500 Watt-hour batteries (rechargeable in four hours) are also competitive among electric bikes. You can find all of the details on the four models on Yamaha’s website dedicated to electric bicycles. Prices range from $2,399 to $3,499. 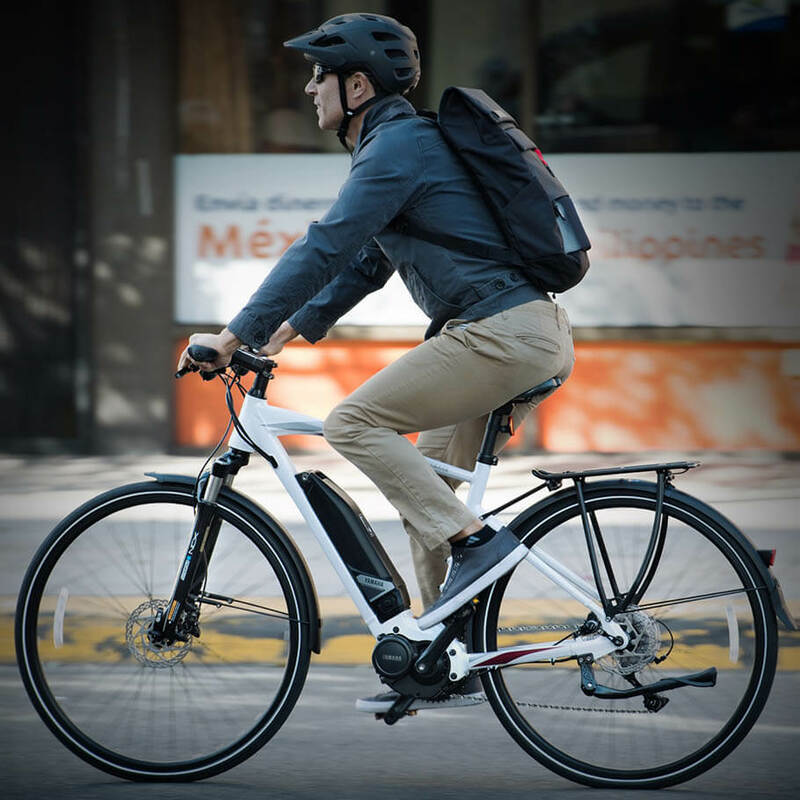 CYPRESS, Calif., March 27, 2018 (GLOBE NEWSWIRE) — Yamaha Motor Corp., USA, is announcing full specifications and pricing for its complete line of power assist electric bicycles at www.YamahaBicycles.com. Yamaha’s Power Assist e-Bikes are designed for active outdoor enthusiasts seeking alternative commuting options, a fun and casual weekend cycling adventure, or a thrilling off-road experience. 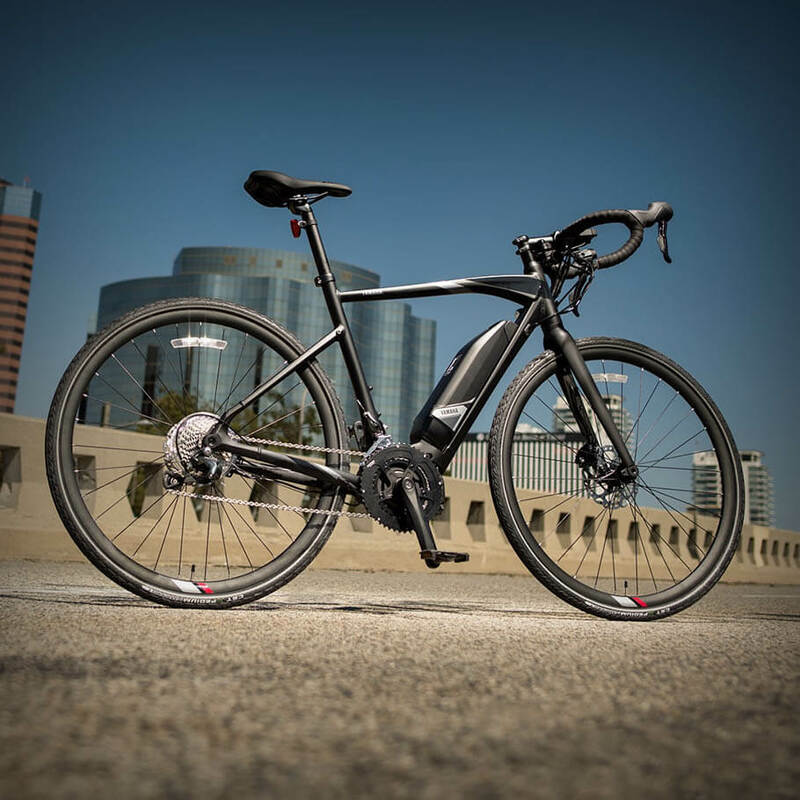 The fun, reliable, and performance-driven commuting, fitness, and mountain bikes are designed to provide the most natural and smooth power assist experience available on an e-Bike today. Yamaha is bringing four all-new power assist electric bicycle models to the U.S. this summer, including the CrossConnect, a completely accessorized commuter/utility bike, the CrossCore, a high style efficient fitness bike, the UrbanRush, a drop-bar do everything road bike, and YDX-TORC, a performance hardtail e-mountain bike. Designed for all-day comfort with power, durability and performance, the Yamaha CrossConnect is an exciting and fully accessorized urban commuter with integrated components like front and rear fenders, rear rack, and headlight that maximize versatility and functional reliability. An air sleeve suspension fork with adjustable compression is unique to Yamaha’s e-commuter, with a through-axle that increases the overall stiffness and strength of the front hub, and it can be fully locked out for even greater efficiency on pavement. The Yamaha CrossConnect will be available at select e-Bike dealers this summer starting at $2,999 MSRP. With a comfortable and ergonomic design, Yamaha’s CrossCore delivers a hybrid bike for the fitness-focused rider. The CrossCore features optimized geometry, class-leading power and performance features and classic Yamaha durability and reliability. 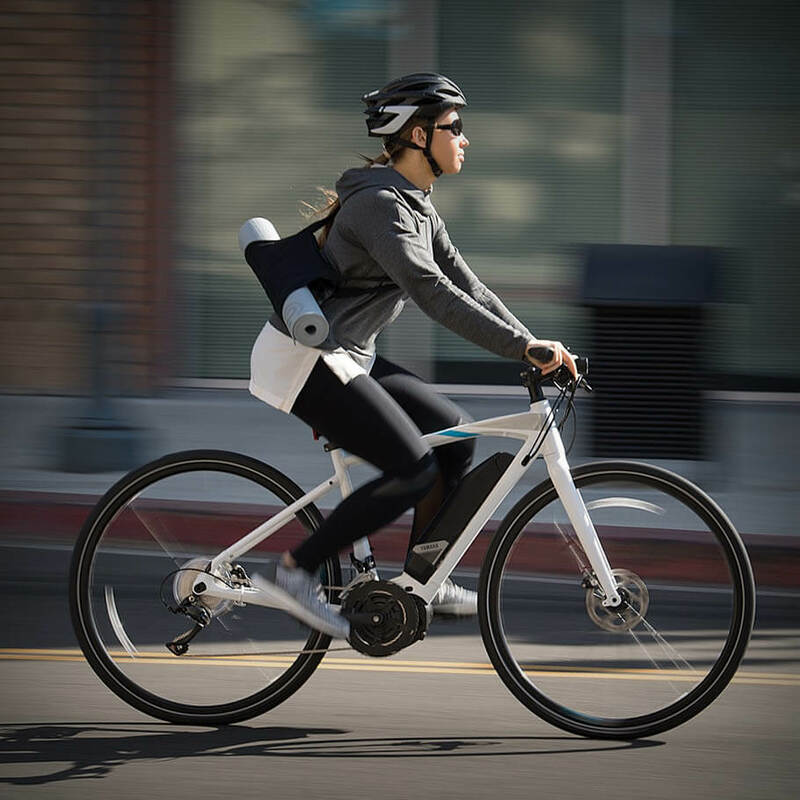 The CrossCore is also equipped with mounts for a water bottle cage, fenders, and rear rack, while also pre-wired for a rear rack light as standard essentials to keep the rider’s focus on the workout. The Yamaha CrossCore will be available at select e-Bike dealers this summer starting at $2,399 MSRP. The All-New Yamaha UrbanRush maximizes performance and commuting riding, delivering the ultimate in road-bike power, style and performance. The drop handle bar styling results in a confidence-inspiring rider position for optimal control and efficiency. Stylish convenience features include recessed fender mounts, front headlight and pre-wiring for Yamaha’s rear rack with integrated tail light. The Yamaha UrbanRush will be available at select e-Bike dealers this summer starting at $3,299 MSRP. 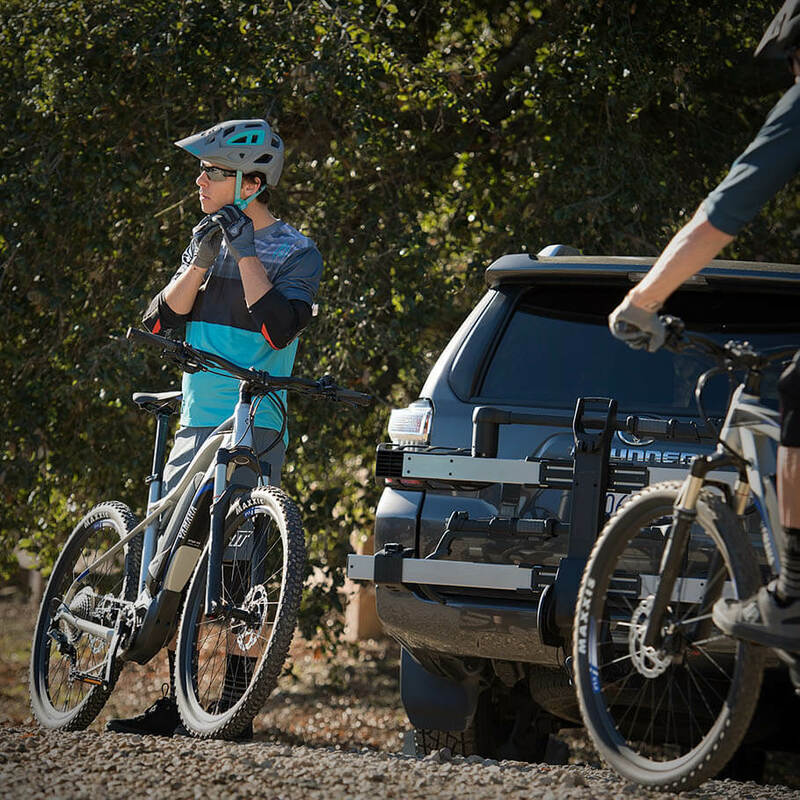 Yamaha’s all-new 2.75 hardtail power assist mountain bike, the YDX-TORC, is powered by the award-winning Yamaha PW-X center drive motor system offering more power for more adventure and exploration on the trails. The YDX-TORC is built with a new progressive geometry — unlike any other hardtail trail e-Bike — that allows for a more playful and stable balance for more trails of all grades. And the motor’s low center-of-gravity supports optimized handling and cornering on tight switchbacks, and quick acceleration out of the saddle. The Yamaha YDX-TORC will be available at select e-Bike dealers this summer starting at $3,499 MSRP. Yamaha is the only manufacturer with 25-years of experience designing complete e-Bikes from frame to motor. That bicycle design heritage reveals itself with the most comprehensive approach to matching the behavior of the motor in alignment with fine tuning the rider’s body position on the bicycle to allow for a natural and confidence inspiring feel and handling characteristic. 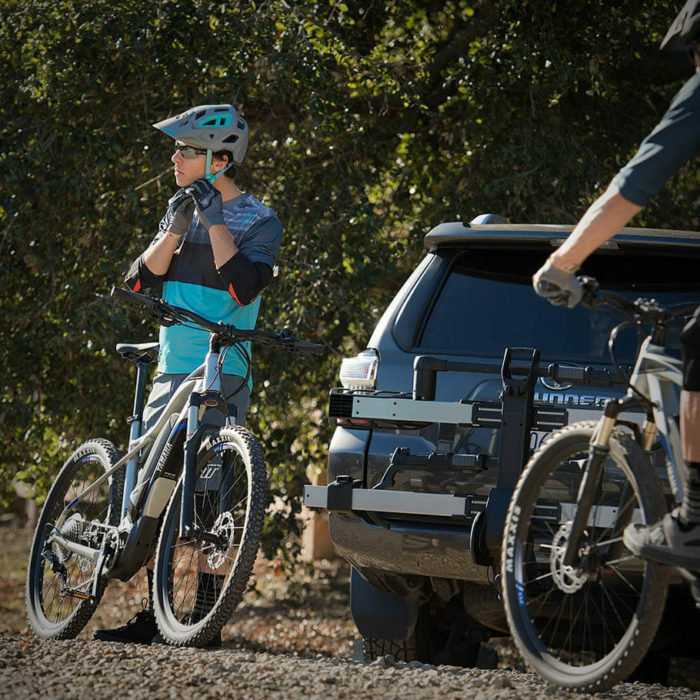 Yamaha’s bicycle frame dimensions and component designs are created to increase rider comfort, enhance rider control, and to maximize the efficiencies of both rider and motor for each of the intended riding experiences, which include: Performance Road, Recreational Utility and Mountain. The all-new models have three sizing options which will allow for most riders to easily find a bicycle that fits their body size and riding style. Yamaha’s unique differences to the bicycle design ultimately translates into the category’s most consistent fit, performance and comfort regardless of the rider’s size. Yamaha’s UrbanRush, CrossCore and CrossConnect e-Bikes are powered by the PWSeries SE motor, which has four levels of support: ECO+, ECO, STANDARD, and HIGH providing 70Nm of max torque and cadence support up to 110 rpm. The award-winning PW-X motor on the YDX-TORC e-mountain bike features five power levels: ECO+, ECO, STANDARD, HIGH and EXPW. The first four modes deliver 70Nm of max torque with a cadence support of up to 110 rpm, while EXPW increases max torque to an impressive 80Nm and rpms up to 120. The PW-X also features a 13% percent smaller, lighter motor case, and faster ratchet ring engagement for faster motor response and increased performance when riding under more challenging conditions. All of Yamaha’s power assist motors provide the purest, most natural assist feel thanks to Yamaha’s Triple Sensor System that has been exclusively optimized for Yamaha’s U.S. power assist bikes. Through the Triple Sensor System, thousands of times per second, frictionless sensors measure the rider’s pedal-torque, bicycle speed, and crank arm cadence with tremendous precision. Communicating back to the motor, the system helps determine how much assist is provided based on the changing terrain and situations (such as hills, speed, etc.) common to cycling. The design is unique to Yamaha and results in a drive unit that provides the smoothest, most refined and natural rides available in an e-Bike. Every model in the Yamaha Power Assist Bicycles lineup is powered by a 500 Watt-hour Lithium-ion battery pack with a 36V output that recharges in just four hours. The bikes employ a center mount system in which the power unit and battery are secured close to the pedals to create a low center-of-gravity for better weight balance and excellent riding stability, while the unique side-exiting battery design allows for a lower stand-over height for greater rider confidence. 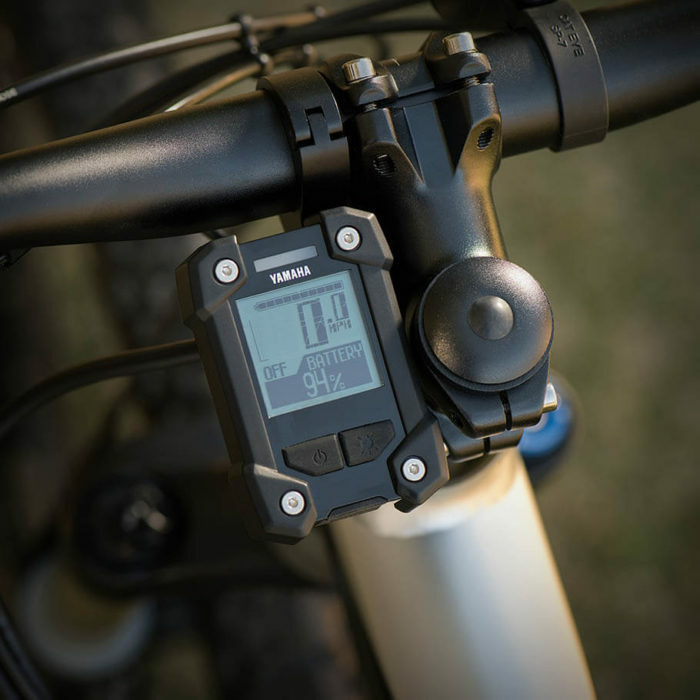 All of Yamaha’s Power Assist bicycles feature an easy to use and easy to read multi-function LCD display unit. The compact unit is mounted to the Yamaha alloy handlebars, providing an ergonomic interface while riding, and the LCD assist-mode and LED power-level indicators make for a great quick reference to power assist settings. Simple, ergonomically designed push-button controls toggle through the various settings like rolling speed, max speed, trip meter, odometer, range, battery capacity, and cadence. Yamaha Motor Company, Ltd. (YMC) launched the world’s first electrically power assisted bicycle in 1993 and has since produced more than 4 million drive units and sold more than 2 million Yamaha power assist bicycles. YMC supplies class-leading e-Bike Systems to select OEM partners worldwide. All of Yamaha’s Power Assist bikes are class 1 e-Bikes. View Yamaha’s full line of Power Assist Bicycles at www.YamahaBicycles.com. Batteries degrade rapidly. Your “50-mile” e-bike will very soon be a “40-mile” e-bike, then 30, then 20, then it’s yard art .ike my 2012 Nissan Leaf. Well, then, you can remove the battery and motor and have yourself a nice bicycle. That’s not reality with these (at least not the good stuff, Bosch, etc.). The batteries are very under stressed and last a very long time. I’ll assume these are made in Japan. Seriously? These bikes shouldn’t cost more than $1000 US. Just because some people are paying stupid money for pedal bikes, this shouldn’t set the precedent for all bikes. They are pricing the ebikes like motorcycles. I don’t get it and I won’t pay it. You may be living in the past. Good bicycles – even regular ones – are expensive. There is a lot of engineering in bicycles to keep them light but strong and functional. I have a carbon fiber road bike and a fully suspended mountain bike and they both cost more than $3,000 each, and they aren’t anywhere close to top-end. I look forward to eventually buying e-bikes once I start to get too old to go as fast or as far as I like. Same logic people use when they say $10,000 is way too much for a 900cc street bike, because they remember when a big bike cost 2K… yeah, 40 years ago! I just can’t see spending that kind of money for a bicycle. It all depends on where your priorities lie. $20,000 seems like way too much money for a motorcycle to me, yet that’s become roughly the entry point for full-dress cruisers. Similarly I don’t regret spending what I do on bicycles because they (and lots of training) help keep me somewhat competitive and pedaling past younger guys on climbs makes me happy in a way that motorcycles can’t, even though I’ve been riding both for over 45 years. Clearly, you haven’t bought a current full-suspension mountain bike lately. They have come a very long way and this crop of e-bikes contain the same level of tech and craftsmanship as the non-E versions. So for my money, just north of $3K for the latest e-mode is completely reasonable. I find this amusing. Mountain Bikes and Dirtbikes are the same price. $10,000 gets you cream of the crop on either side. You need a beefy bike platform for any e-bike and that equates to an addition $1000 just on R&D and materials on top of the pedal model it is based off of. As an owner of 2 fully suspended e-bikes, I applaud these new bicycles from Yamaha, although I would still wait for a fully suspended version. Our e-bikes have allowed my wife and I to re-discover the town we have lived in for over 35 years. We go places that we never would have ventured in our car, on foot, or by regular bicycle. We are not fitness freaks – I weigh over 200 lbs. I will say that I would not consider any e-bike with under 350 watts of power, though (our Easy Motion NEO Jumpers are 350 watts). I wish that I had held out for 750 watts or more. With e-bikes, it is always a trade off between power and range. We get well over 60 miles of normal travel from our 432wh, 36V, 12ah battery packs. I also like e-bikes that do not *look* like they have battery power. There is no correct answer. The key variables are all in the rider and conditions (weight, terrain, wind, user preferences like power setting). Most go 30+ before the battery runs low, but if you use lower settings and put in more work on the pedals, 60+ is possible. If you were to add pedal power, does that increase the range? Does it recharge going downhill? How far can you ride a “normal” bike? 50 miles on an mtb is a LOT! Seriously, 50 miles on a mountain bike is an epic. Most of my rides are under 15 miles. Granted, with a battery you can probably cover more distance, faster. But come on….50 miles is a massive day! Here in California things not secured tend to walk off. I would want a way to lock the battery to the frame when I park it. It’s already locked to the frame. Well, we now have Yamaha and Bultaco electric bicycles (ok Bultaco calls theirs “moto bikes”). Soon, it will probably be Kawasaki, Suzuki, and I’m sure other less well known. Even Harley is coming out with an electric motorcycle. Electric everything coming, better get your solar powered roofs with battery backup installed so you can charge all this stuff. Solar City/Tesla is taking orders for the roofs/battery backups. If I were building a house or homes today I think I’d opt for solar from the get-go, especially in sunbelt states. Just seems to make sense in so many ways. This is true, and the conventional energy companies managed to get laws passed in some of these states to eliminate the advantage of home based solar power. Free market seems to vanish when big money os at stake – funny that…I’d check these laws before investment. Free market? Home based solar only exists BECAUSE of Federal, state and local subsidies. As a commuter machine and way to get non-cyclists on two wheels for errands and solo transportation, I am totally behind it. The fewer cars on our congested roads, the better! For the folks out there who buy a bicycle for exercise/recreation, not so much. Yamaha building the e-bike in an MTB mode is going to continue the problems that have arisen with land access for cyclists – like the moto crowd, MTB riders fight for access for dirt. More and more regional, state and national parks have started to restrict or ban e-bikes from trails. Essentially, they are motorcycles – especially the ones that require no pedal effort to move. The person who drops their $3500 on the new Yamaha, and then shows up at the local trails to find out their toy is not allowed to be legally used there (or even more shocking – to not know the rules and then get ticketed or have the bike impounded by a ranger…) is going to get rather bent. While I think that there should be exceptions to this – for example, someone who is mildly handicapped or injured/over 65 years, perhaps have a low-power/low speed option so that they can still ride. Maybe 250 watts and only pedal-assist? One of the problems with the access of these bikes (especially for non-cyclists) is that they get waaaaayyyy out there and then run out of battery. They may not be in condition to get back out. With these bikes weighing more than a ‘regular’ bike, and requiring more effort to pedal along, it can be a real problem. A few weeks back, on a road ride with a friend, we were passed by a gent, wearing jeans and no helmet, on a new e-bike out on a country road, about 15 miles from any sort of ‘civilization’. He blew by us on one of the rolling climbs, without calling out or letting us know he was passing. About 20 minutes later, we came upon him grinding along VERY slowly on the flats. I asked if everything was OK and he said “my battery is dead”. I told him that was why we rode regular bikes. Gave him a half-full water bottle (he had none and I had two) and we continued on our way. Hopefully it made for a lesson and no more, but it was exactly the sort of situation that if it had happened out in the sticks on a trail or dirt route, could be drastic for a non-athletic participant in a pastime that requires at least some cardio fitness. I applaud Yamaha for continuing their bicycle heritage (I rode a Viscount years ago) but have reserves about the e-MTB. I think that this topic of e-bikes is a fitting article for motorcycledaily.com – an e-bike is a form of motorcycle, so it fits. I still think that I’ll pedal my bicycle and twist the throttle on my gas (or maybe someday electric-powered) motorcycle! While I agree that there should be reasonable restrictions in place- most e-MTBs I’ve seen are 250 watt, pedal assist only and restricted to 20 mph assistance max. So I do have to call bs and calling it essentially a motorcycle. These things weigh around 50 pounds, compared to 25-30 for a regular mtb. And 250 watts is a fraction of one horsepower. There is really no comparison. These are much, much closer to regular MTBs than anything else and their land impacts is very similar if not identical. I’m really disappointed in the comments so far. I mean, you have the word “electric” in the same article with “not an actual motorcycle”, and these are the best you can do? Come on, people, where’s that fire?! I wanna hear some folks coming unglued! Where’s the vitriol?! Where’s the pumpkin pie?! I love the cleanliness, torque, silence, and maintenance free aspects of electric vehicles. But despite the propaganda, they are not cleaner than gas engines — all things considered. And range is still a big issue except for commuting. I suspect not many riders will pay $3000 for just a commuter when we can buy a clean, used, mid-displacement motorcycle for that price. It’s legal on the freeways, and can also be used on for touring canyons on weekends, and other states on vacation. Seems a much better value to me. What makes you think they are not cleaner? Let me guess, because the electric power is made from burning coal or oil, that is getting less and less as time goes on. Most electric is generated without using coal in many places except possibly out in the Western US states, and that is becoming less all the time. Perhaps not many riders would pay for one, but plenty of bicycle commuters – or those that would contemplate a bicycle committee if it weren’t for that one, long steep hill along the way – would buy one. This doesn’t strike me as a replacement for a motorcycle, and I don’t think that is the point at all. As far as bicycles go, these seem priced pretty fairly. I bicycle to stay in shape, this is a pretty cool option. I’d want to know more about distance per charge. When I bicycle to work, which is fairly rare, it’s a 22 mile trip one way, with a brief stint over a river on I-5 on a wide shoulder. An engine would help to get that part over quickly. I wonder if anyone would notice on a century ride? I hear what you are saying, and lots of people engage with e-bikes under the same logic. I really don’t get it, though. If you are looking to ride for fitness, why go e-bike? Just pedal a distance and route within your abilities. If you are commuting, old, or have some physical impairment, sure, I see the interest. But for an able bodied person interested in fitness, no. As for your question if anybody would notice on a century ride (I do them regularly), I say many people would notice and react quite unfavorably. On a century ride (even an untimed/ non-competitive one), quite frankly, it is cheating. The whole point is to challenge yourself to train and complete something quite hard, and using electric assist just defeats the purpose for you and cheapens the experience in the moment for everybody else. Kind of like showing up to a marathon on a bike or inline skates and saying you finished. How other people choose to ride has no effect on your experience, whatsoever. You do your ride, they do theirs. On any given day an e-bike rider goes out for a ride, their ride is theirs and my ride is mine. So yes, their ride has no impact on my experience. The OP asked if anybody would notice on a century ride, and that is a different story. A century ride is an organized event, and for many riders, participating in one is the best way to achieve this milestone in one’s personal cycling experience. They are usually supported- you don’t have to carry a day’s worth of food and water- and you are working to achieve something with others in the same spirit and goal. It isn’t just about going a certain distance, just as completing a marathon isn’t just about running 26 miles. It is a collective experience more than just an individual one, and the sense of accomplishment is collective as well. Completing a century ride on an e-bike isn’t completing a century ride, and I highly doubt those in attendance would appreciate seeing somebody zipping by with battery assistance. That was the OP’s question. If somebody wants to go out and ride 100 miles on their own on an e-bike, they have every right to do so and I won’t give it another thought. But to participate in a century ride on an e-bike, no thanks. Now your narcissism is showing..
At most of the century rides I’ve done in the past few years, there have been participants on e-bikes. Nobody cared. The riders on their e-bikes obviously cared even less about someone else’s opinion of their choice. But please, feel free to continue telling people how they should experience things, because people always appreciate that. As e-bikes go, these look really promising. Not silly pricey like certain Swiss bikes, yet still high quality. And with a center drive system, making them at least a little bit less awkward to pick up and lift into an SUV or truck. As well as carrying across a floor to an elevator, and from the elevator to an office. Center drives also are more appropriate on a bicycle, as they (at least can) give a more properly proportional assist than even the fanciest hub drives. Yamaha is putting their name on these. It’s a big company, known for quality in every line of products in which they are active. From concert grands to motorbikes. I doubt they would risk tarnishing that with a shoddily built electric bicycle. They’re probably still limited to 25mph like the Euro and US bikes and most regulations seem to require. Which makes them insanely annoying and non-intuitive anywhere downhill for those used to riding unassisted. But for people who don’t fancy riding a regular bike, these things provide many of the advantages of a regular bike, without the conditioning (and sweat tolerance) requirements of the latter. Most are 20MPH, but a few higher end models go up to 28, according to Giant’s website. I think there were about 8 models in to total. Well, at least you can pedal it if it runs out of juice. Just slightly off topic… I adapted a surplus 35cc Honda 4-stroke engine to my antique balloon tire bicycle. This thing is so quiet and easy on fuel it amazes me. My commute to work is 7 miles round trip, I can do that for 5 days, plus run other errands and still have fuel left in the tiny fuel tank. My point is that the total impact on the environment can’t be much if any worse than what results from the production of electric battery packs, plus the fossil generated electricity to recharge the batteries. I know the torque output down low isn’t much, but I have my legs to bump that up. The top end is more impressive as my bike will do 32mph on a flat with zero wind. I’m sure it makes less emissions than your car would over the same distances. Anytime a guy can move himself around without 4,000lbs of steel and all the energy and space that requires, it’s a good thing. Except the car likely has emission controls and a 4 cycle engine, fuel injected engine. I assume the small motor on the bike has none of those. Though the total gasses may be lower, the bike engine is quite likely dirtier. Myth busters did an EP on how older motorcycles as cutally pollute more than cars due to much looser EPA regulations on them. My son in law has an electric bike that he commutes with in Seattle. I rode the thing 15 mph uphill and I’m 56 and out of shape. I was impressed with that bike. I have not seen an electric recumbent bicycle being made by anybody. Any chance of that? There are dozens of them out there. Just search “electric recumbent bike”. I am into MTB. Carbon Speed of China makes and sells carbon MTB frames with e-bike motors. Finish the build as desired. For price comparable to OEM alloy frame e-bike you’ll have a lighter CS carbon framed bike. Any good bike shop can finish the build for surprisingly low fee, <$100. Carbon Speed service is superb, great communication, decent English, etc. This year I shall buy a new CS hard tail (passive) frame for 29 so-called 29 Plus tires (27.5 or 29 inch x 3.0 inch), which split the difference between regular MTB and so-called "Fat" tires for sand and snow, 26 x 4.0-5.0 inch. I now run and shall install 29 x 2.6 inch "Wide Trail" tires, which splits the difference between regular MTB and Plus. You would be shocked how light are modern full suspension carbon Fat Bikes, which roll over just about anything (down to 5-6 PSI). Unless you are below average height, forget 27.5 and get 29" wheels (except for Fat tires with are 26 inch). Wheels are the best first bicycle upgrade, second being forks. A nice custom built to order CS wheel set is only about $500. I'm a Clyde (heavyweight), ride on rocky N. Utah trails, no problems. For general parts/accessories I like Cycle Superstore in Dublin. Next day shipping standard (not to be confused with over night transit), good prices, etc. I have spent plenty supporting my LBS/local bike shops but can not justify paying full boat for the high end parts I prefer now. Last purchase from CSS was a nice $500 fork, estimate $850 SRP. LBS wanted full boat, no thanks, sorry. I am an enthusiast with absolutely no bike industry affiliation. Could you tell me what part the rider plays and what part the motor play in going forward? Can the rider just keep his/her legs in one position and let the motor do all the work, or is pedaling necessary? The answer is yes. All of the above. There are pedal assist bikes, bikes with full power modes and even e-bikes with foot pegs. The real question is the legal one in your area. What sort of e-bike is legal to use on the venue you want to use it for? It is important to know that before you shop for an e-bike. E-bikes are very popular among the older crowd in the Netherlands, where I lived for a couple of years. But they are tightly regulated to assist only with the assist tapering off at defined top speed of what I would call a brisk pace. This old guy used to keep me honest on my way home from mountain biking. I could stay ahead of him on a fat bike. But I had to ride hard if I was tired from a few hours in the woods. Mad? Not for bicycle coverage. It would be for the lack of what is not being covered, and that whole daily thing. I don’t believe an independent-of-pedal-power motor drive system qualifies the bike as an e-assist bike. Which makes it ineligible for use on bike lanes in many locales. Europe has been at the forefront of e-bike regulations, and it seems most non-Euro locales are just copying their regs. They also have all manners of regs about max speeds etc. Which are annoyingly low for people used to bicycling. I believe 25mph or so. Faster than you’d go wearing a suit trying to avoid getting sweaty, but a real nuisance going downhill otherwise. Most of the electric bikes you’ll find in the US are what are known as “pedal assist”. These use pedaling input to determine how much power to assist the rider with. Generally, you’ll have 4 power settings from a tiny help to a strong acceleration to choose from. The work rate split is entirely up to the rider. Many who get into e-mtb will find that they want to work just as hard and trade the assist for more climbing speed or more speed between “fun” sections. You can’t really go any faster on flat or downhill singletrack because all of the normal limitations are still there (trees, traction, space, etc.). I am not mad at you, for skipping another racing story. Thank you. I like the concept but I’ll have to wait for bikes direct to start selling them. Bicycles have to go thru a distributer before they get to a bike shop driving up the price. On the manufacturers end they farm out the frame building and outsource all the seat, wheels drivetrain and brakes to further drive up the price. So what are you getting for the price? Bike like this would make a good commuter for those living close to work. Or for people who want to extend their range. Sixty mile rides might be possible again but I’ll wait. Many manufacturers ship direct in a large box and are owner assembled in 20 minutes. I bought a stride 400 meaning 400 watt motor for my wife under $1k delivered from Prodectotech (bike assembly and wheel bulding facility in Florida)to my door. Took it out of the box, mounted the handlebars and pedals,and rode it away unpowered while the battery was charging. Index shifting and the stock hydraulic disc brakes were spot on without adjustment and bleeding. A few hours later the samsung battery, motor controller and motor tested great as well. We tried both before buying and my wfe preferred the flexibilty of power on demand assist versus pedal assist. It powers down at 20 mph and range is supposed to be 25 miles on flat terrain under power alone. I’m mad at you for covering bicycles! Finally, something I can afford. 120 rpm at the crank = ?MPH I’m guessing 20 MPH. Here in Florida, I could probably ride this without hassle from the government. In California, where I am from, I would probably need a driver’s license, registration and insurance. And, I probably couldn’t ride in the bicycle lane. I think you’re allowed to ride “pedal assist” bikes in bike lanes in LA. They have to be limited to 20 or 25mph or so, and to 500W motors or something. Exactly why you’d want to ride on pedestrian/skateboard/rollerblade infested “bike paths,” other than for quick shortcuts, is beyond me. But some people do seem to prefer those to roads. California was the 1st state to adopt a 3-class legal structure defining electric bikes. As long as your bike falls into one of the 3 categories (this article refers to all Yamaha bikes being “Class 1”), there is no licensing, registration, or insurance. It’s just a bike. You will need a playing card and a clothespin so they can hear you coming. Better have a VERY stout padlock for a $2500 item someone can pick up and walk off with……..?????? These days, $2500 is considered a mid-level bicycle. A lot of people are paying between $5,000-10,000 these days. Of course if all you want to do is cruise the boardwalk or follow the kids around the neighborhood, a sub $200 one from Wal-Mart will do the job. But I don’t see people buying these for pleasure as much as serious commuting to uni or work and especially for professional couriers. These look like rather basic quality designs with an e-assist being the only thing to write home about. Not many have $2500 into a commuter that they leave unattended daily either. You can get quality 500w commuters for less than half of these cost. They are heavy around 50 lbs, but comewith older gear trains but have decent suspension and esentially tandem wheelsets and tires for the weight. If you put on a motor and battery what’s the point of being a weight weenie and using more expensive materials to reduce the weight a few pounds. No, you really can’t. Cheap e-bikes exist but they are not quality by any reasonable standard. They work for a while, but when they fail (and they do), service is a big problem. Weight reduction counts whether it’s from 20lb down to 18lb, or 50lb down to 45lb. Makes a difference everywhere from handling to manageability (storage, transport in car, stairs, etc.). Usually with e-bikes, lighter weight comes as a positive consequence of higher quality components. Yes you can, I have one. It fulfills the mission, is built to carry the weight which is competetive, with a tandem wheel set, Avid hydraulic disc brakes, Continental tires, SRAM shifters, samsung battery, controller, and motor. If you put a traditional bike manufacter name on the same components (and they do) the price doubles. Using your weight theory a 400 lb motorcycle would handle like an elephant. It’s BS and my 120 pound arthritic wife says it handles and stops like her old bike but now she enjoys being able to go on extended rides 20-30 miles with friends and family again. It’s a short wheelbase tandem rolling chassis essentially, tell me what the issues are? What bike make/model do you have? Finally a bike my Buell can beat in a straight line. Things are a changing everywhere. Hey Dirck, why the continual awaiting moderation? I’ve been here for many many years. When I go to “contact us” on the site nothing happens. Just wondering. Hey Trpldog, works ok for me.I get my email page with the editor@motorcycledaily.com if I click on Contact Us. Past experience with this sort of thing when links don’t work, is that a advert blocker/tracking block has been the real culprit, not the web page. Welcome to the continually in moderation club Trpldog. Even though like you said, we have been here for many years, never said anything that actually required any moderation, used no foul language, no name calling, nothing remotely derogatory towards another poster,or the website, still I would venture to say 50% or more of our posts go to moderation? Why? To be fair I also have been put on moderation, but said something positive about electric bikes so the blame is on me lol. Rather see you cover electric bicycles than the various three-wheel CARS! Wow, anywhere from 52 to 60 ft/lbs of torque, that is impressive. Should be no problem in city traffic and negotiating grades. You sure about those numbers? Putting 60 ft lbs through a bicycle chain seems like a bad idea. ya, that is why I said “wow”, but 70 newton-meters converts to 51 foot pounds and 80 nm equals 60 ft/lbs according to two different conversion tables that I used. The chains and gears must be of a high quality. Also, there isn’t a lot of mass resistance, so less strain on the driveline. 60 ft-lb is generated if a 104 lb individual puts all of their weight on a pedal while it’s parallel to the ground. Extremely strong cyclists can put out 500+ ft-lb for short periods of time, so the torque from the motor is no problem. Indeed – the gearbox (a torque multiplier) is mostly the other end of the chain compared to a motorbike. There is a note from McLaren when they helped specialized creating the venge, they call to say sorry because the wrong lectures from the sensors, the reading where for outputs of almost 500 watts. They reply back that, very good cyclists can put that amount of power to drive train. Torque value at the power source is pretty meaningless by itself. Like Archimedes said: Give me a lever long enough and a fulcrum on which to place it, and I shall move the world. Severely obese person with 200 mm cranks can create much more torque than a world-class cyclist or most IC engines. Still (s)he is not going to move very fast. Yamaha bought Viscount bicycles around 1978, so they have a credible story. (Trek hit about that same time, and i think Trek played a pretty big role in killing Viscount.) I almost bought one in 1979, but the local dealer didn’t have a frame large enough for me, so I bought a Schwinn Le Tour III (27″ frame), which was my main bicycle for 5 years. Always regret not buying that Viscount. So they’ve been making parts for these things for 25 odd years and have finally decided to associate their brand with the finished product…um ok. Nothing really new here, but I would like to see more of a cruiser (in a bicycle sense) design taller seat and shorter reach to bar configuration for relaxed cycling. Yamaha’s recognition and affirmation of the segment by branding it’s own product is what’s new here. Similar move to SYM and Kymco coming to market with their own scooters after years of making them for other brands. They’ve sold them as Yamaha PAS bicycles in Japan since the beginning back in the 90s. Most of the models there have been commuter oriented. Here’s the Yamaha History page on the PAS system. And another explaining the improvements made over the years.